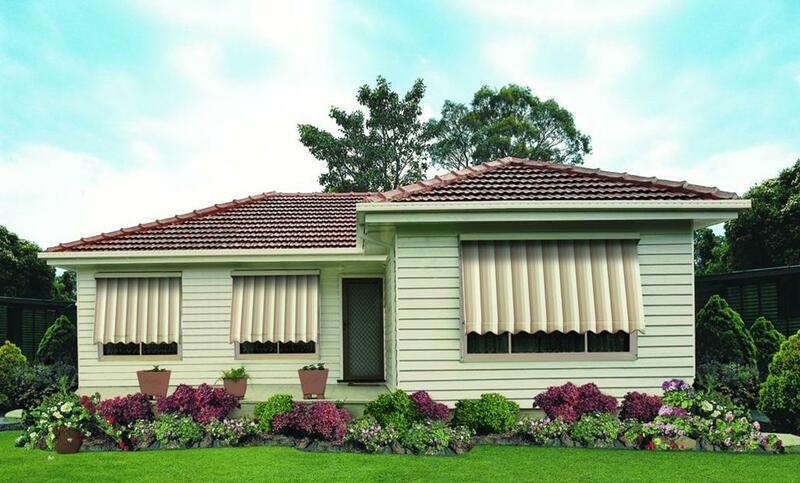 Automatic lock arm awnings are the most popular exterior awning product of the Australian blinds market. Pinz manufacture Automatic lock arm awnings using high quality components in a range of fabric options. Auto Awnings in block out canvas provide a room darkening effect and are extremely efficient at reducing heat inside a room. The block out canvas prevents the sun from hitting the window and the projection (angle) of the awning allows for air flow and for windows to still open. 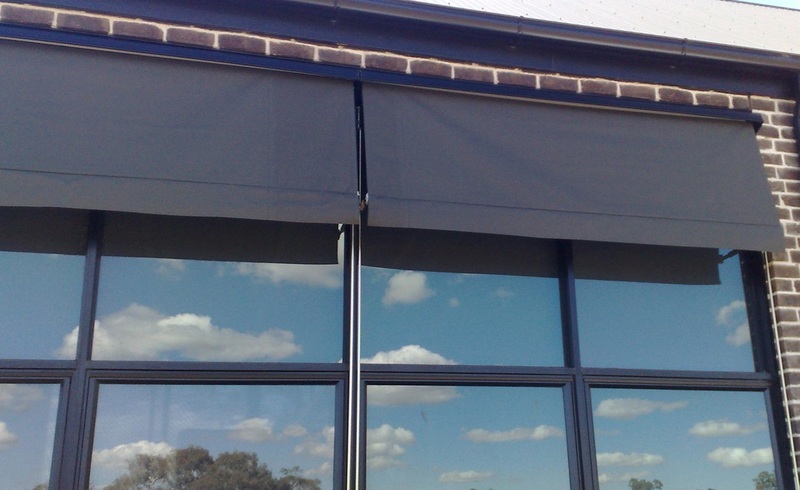 Auto Awnings are suitable for ground floor installations over windows, patios and verandas where the awning can be operated by hand with the help of an awning stick. The self locking arms make operation easy and helps the awning to stop where you want it to. 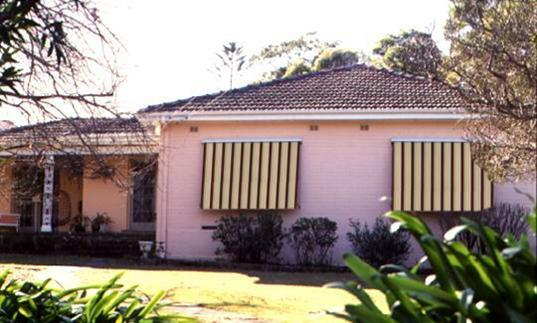 Auto Awnings remain a timeless and classic window shading option at a very affordable price. Why not choose a more contemporary Auto Awning? 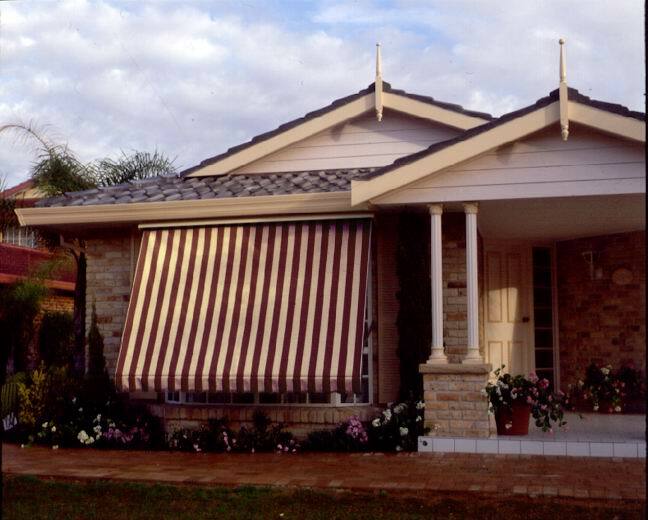 Simply by choosing an outdoor screen or mesh fabric over the traditional block out canvas you can give the traditional Auto Awning a new lease on life. In more contemporary outdoor screen or mesh fabrics auto awnings can provide shade and privacy while still allowing a view. Traditional stripes are still available in screen fabrics or choose from a wide range of contemporary colours. 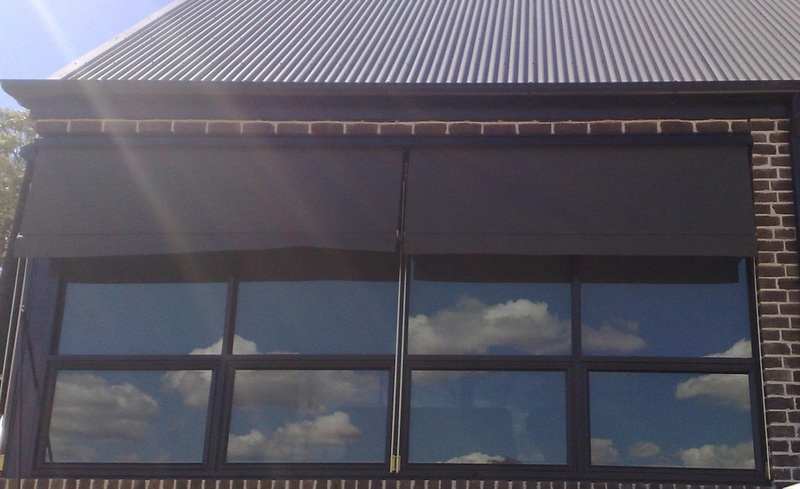 Pinz Auto Awnings in screen fabrics feature clean welded side hems and you have the option of a straight valance over the 'old school' scallop. Popular acrylic canvas fabric can also provide a huge choice of colours and patterns in a more light weight and modern fabric option.